Register with the CURLSASK office. March 25-31, 2019 ~ Richmond, B.C. 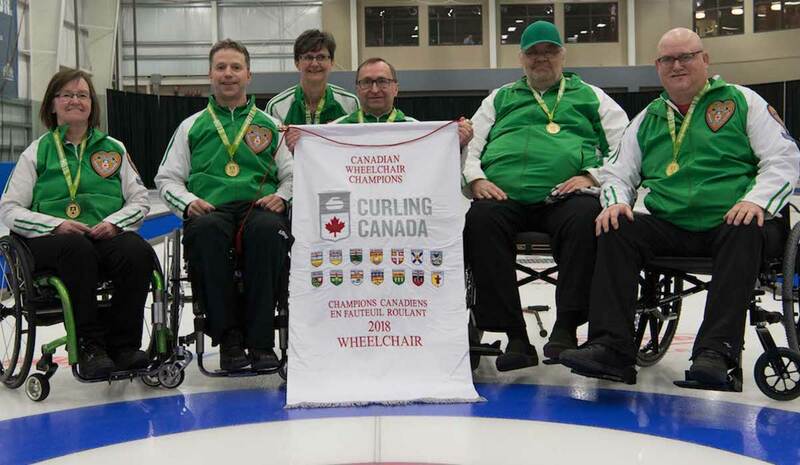 The purpose of the Provincial Team Selection Camp is for CURLSASK to select the team that will represent Saskatchewan at the 2019 National Wheelchair Curling Championship. Times: 10:00 am to 4:00 p.m.
On-ice and off-ice sessions will be facilitated and evaluated by the Provincial Wheelchair Curling Coaches and other appointed evaluators. The Provincial Team must have at least one member of the opposite gender. Athletes will be required to complete a mandatory questionnaire prior to the camp to assist with the evaluation process. Attend competition events to be determined. Costs for training are the responsibility of the team. Cost for airfare for athletes and one coach and 3 rooms per team are covered by Curling Canada. On-Ice clothing – jackets and one shirt per person is covered by CURLSASK. Meals and miscellaneous expenses are the responsibility of the team. Four or five athletes will be selected to Team Saskatchewan as determined by the evaluators. A minimum of one athlete must be of opposite gender. All participants must adhere to the CURLSASK Residency Policy.